You’ve probably heard the saying, “The eyes are the windows to the soul.” Did you know that your eyes are also a window into your general health? More than 30 conditions can show symptoms in the eyes! This is one of the reasons it is so important to schedule regular eye exams. An eye exam can reveal valuable information about your well-being and provide warning of possible threats to your health. Here, Dr. Nicholas Skouras lists several diseases that can be detected during an eye exam. 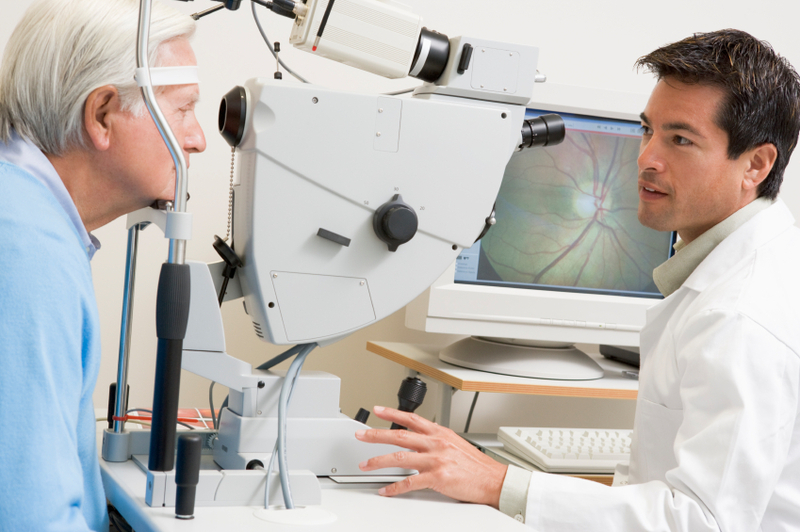 Diabetes affects the small capillaries of the retina, which can leak blood or yellow fluid. 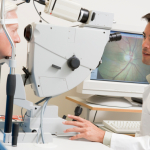 Diabetic retinopathy is the leading cause of blindness in the United States. High cholesterol levels can cause white or yellow rings around the eyes, or yellowish bumps on the eyelids. Hypertension, or high blood pressure, can manifest through blurry vision or problems with the blood vessels of the eye (e.g., bends, kinks or tears). In serious cases, hypertension can also cause retinal detachment. Changes to the structure of the eyes, unusual growths and lesions could possibly indicate cancer. A painful inflammation of the eye (called iritis) may signal arthritis. A yellowish tint in whites of the eyes may be an indication of liver disease. Red, itchy, swollen eyes often indicate that a person has allergies (triggered by pollen, pet dander or dust). A telltale sign of thyroid disease, or Grave’s disease, is bulging of the eyes. Certain autoimmune diseases, like Sjögren’s syndrome, cause dry eyes. Lupus may cause inflammation of the eye. A droopy eyelid or an irregularly shaped pupil may be indicative of a neck tumor or aneurism. Though the aforementioned diseases are quite serious, this list is not meant to alarm you. Not every irregularity will indicate disease. However, it’s still smart to schedule regular eye exams anyway. Better safe than sorry! Dr. Skouras recommends exams every three to five years for those under 40 without any symptoms, and more frequent exams for those over 40 and those with risk factors (e.g., previous eye disease/surgery). To book an appointment with Dr. Skouras, please contact Skouras Eye & Cosmetic Centre today at (416) 590-0445.